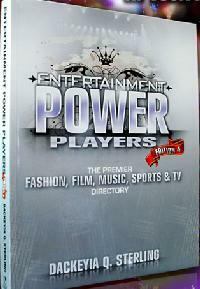 Dackeyia Q. Sterling’s ‘Entertainment Power Players’: Fashion, film, music, sports & TV directory out now. *The entertainment industry is not unlike any other business maze. You can waste valuable time in search of the right contact. 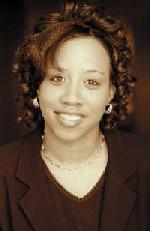 Author, Dackeyia Q. Sterling, has again gathered the most pertinent entertainment information in one concise 288-page hardcover book to help readers successfully propel their careers or projects. Industry professionals can quickly locate services including legal, public relations, agents and staffing. Sterling offers readers more than 5,000 updated contacts, career power plans, networking events, industry introductions and Power-Player interviews. There are also sections on screenwriting software, internship opportunities, training programs and competitions. This 4th Edition of the popular resource directory includes a new fashion section with listings for designers, modeling agencies, trade publications, associations, schools and more. For more information on “The Entertainment Power Players,” visit www.entertainmentpower.com. Previous ArticleEUR Film Review: The End of Poverty? Ive heard mrs. Sterling speak and have bought all 4 of her books, this woman really knows her stuff!……the book is definitely a “must have”!